Rapidlash eyelash enhancing serum comes in a 3 ml silver bottle. It is neat and aesthetic. The manufacturer added a large box with instructions on use and list if contraindications. The formula allows to nourish the lashes and strengthen the bulbs. If you use Rapidlash eyelash enhancer regularly, it darkens and curls the eyelashes – delivers the effect provided by a curling mascara. You notice first effects after more or less 3 weeks: eyelashes are stronger inside and start gaining prettier and darker shade. Next weeks make the lashes thicker. Fluid formula of Rapidlash enhancer gets absorbed fairly quickly. Regular use of Rapidlash also nourishes the brows. It won’t make them regrow but it will darken and stronger the ones that you have. 3 ml of Rapidlash eyelash serum should hold out the whole treatment – provided that we don’t apply it to eyebrows. If we do, it will run out very quickly. The brows get gently nourished so it is a better idea to use the product only for eyelash repair. The price of the enhancer is inadequate to its capacity. Rapidlash eyelash enhancing serum has a brush in form of an eyeliner. It is quite big and stiff, which makes the application a bit harder. 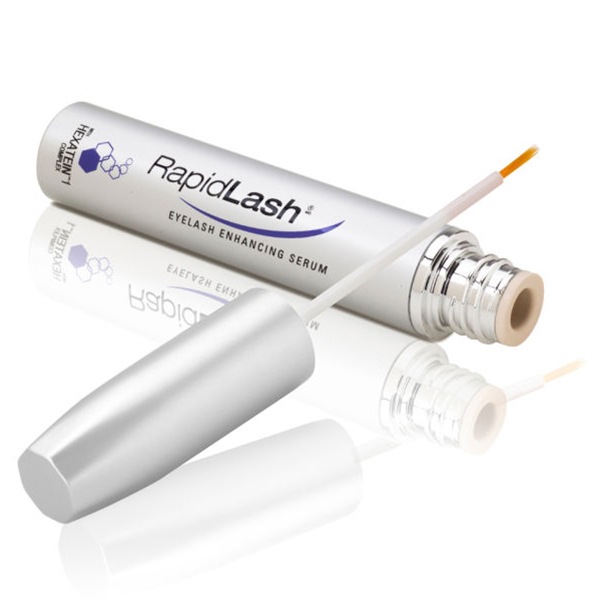 Rapidlash must be applied once a day to clean skin of eyelids.